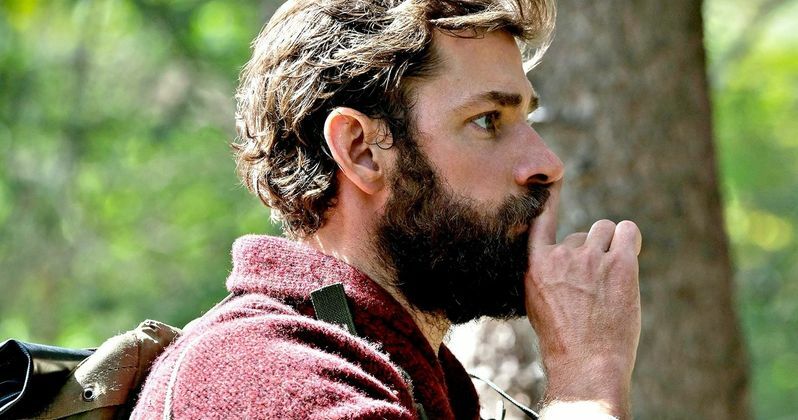 John Krasinski's A Quiet Place turned out to be a surprise hit, earning over $50 million in its first weekend, which earned it the number one spot at the box office and a healthy word of mouth buzz. Now, John Krasinski and the production team behind A Quiet Place are making the sci-fi thriller Life on Mars. Life on Mars, not to be mistaken with the David Bowie song of the same name, is based off of a story called We Have Always Lived on Mars by Cecil Castellucci. Life on Mars has just been announced and it isn't clear if John Krasinski will direct this time around, but he will not star in the project. Krasinski will reteam with Michael Bay, Andrew Form, and Brad Fuller, who produced A Quiet Place. Paramount is also in discussions to pick up Life on Mars and more than likely will after the success of Krasinski's latest offering. No production start date or casting information has been available, but that news is expected to drop soon. Cecil Castellucci's We Have Always Lived on Mars is a short story that was released in April of 2013 and has been somewhat of an underground secret for the last 5 years. However, a lot more people are going to be hearing about it and reading it now, before the movie comes out. The original version of the story is only 17 pages long, so it will be interesting to see how John Krasinski or whomever is tapped to screen write, adapts the story. The synopsis of the original story reads. "(Life on Mars) centers on a woman who is among a handful of descendants of a Martian colony long-abandoned by Earth following a cataclysm. The woman one day finds she can breathe the air on Mars, upending her world and that of her fellow colonists." While Life on Mars is in its infancy, A Quiet Place is closing in on its second weekend in theaters and expected to earn quite a bit more of box office cash before it ends its theatrical run. The horror movie has already grossed over $80 million worldwide off of an initial $17 million budget and is still continuing to earn throughout the week. The movie has been hailed for its originality and making moviegoers uncomfortable. Though it has not been announced, it seems like a safe bet that John Krasinski will direct Life on Mars when the time comes. As for when you'll be able to see him next, he stars in Amazon's Jack Ryan series, which will debut at the end of August. The series will make Krasinski making the fifth actor to portray the character after Alec Baldwin, Harrison Ford, Ben Affleck, and Chris Pine. A Quiet Place is still in theaters and you can read more about Life on Mars over at The Hollywood Reporter.